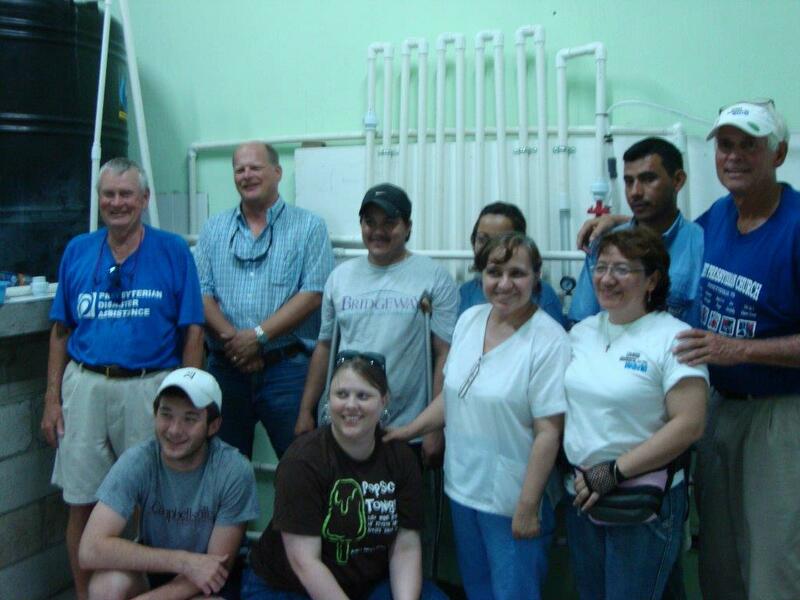 FPC coordinates with various organizations to do mission work outside our community. Groups have worked in places such as Pine Ridge, SD; the Cumberland Mountains, AK; Bayou La Batre, AL; and Long Beach, MS (Hurricane Katrina relief). 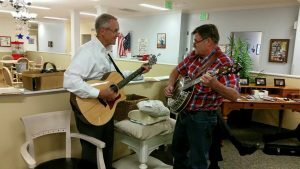 They have also done projects such as repairing tornado-damaged homes in Alabama, gleaning produce from local farmers with The Society for St. Andrew, and helping out at our local Child Advocacy Center. 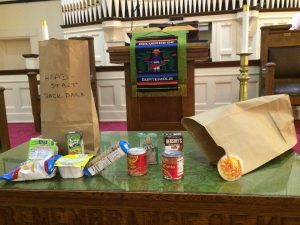 This annual Christmas event allows the congregation to provide Christmas gifts for children living in the Flintville area who might not receive gifts otherwise. This is a supplemental food program for children who are “food insecure,” a term used to describe those who are not sure of a next meal. FPC volunteers order, organize, and pack the food into the BackPack bags and then deliver them to HeadStart. 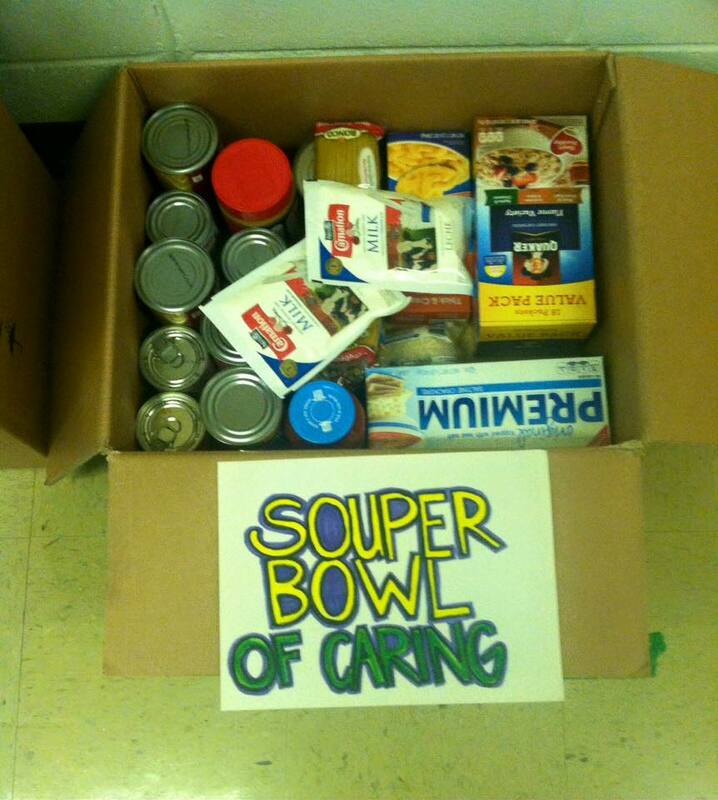 On Thursdays, 32 children in the local Head Start Program are given a bag of food items for the weekend. 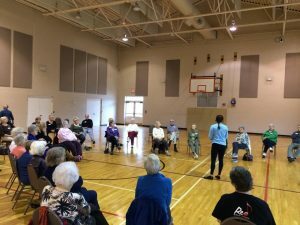 FPC, in conjunction with the Center for Aging in Huntsville, AL, offers a balance and coordination program targeting the elderly and other at-risk individuals for falls. This service is offered to the public free of charge on Mondays, Wednesdays, and Fridays from noon to 1 p.m. for the more advanced Balance II class and from 1 to 2 p.m. for the Balance I class. 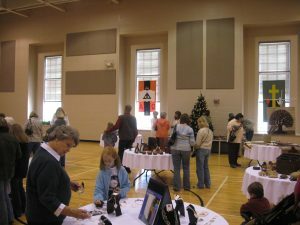 Classes are held in the church’s Family Life Center. 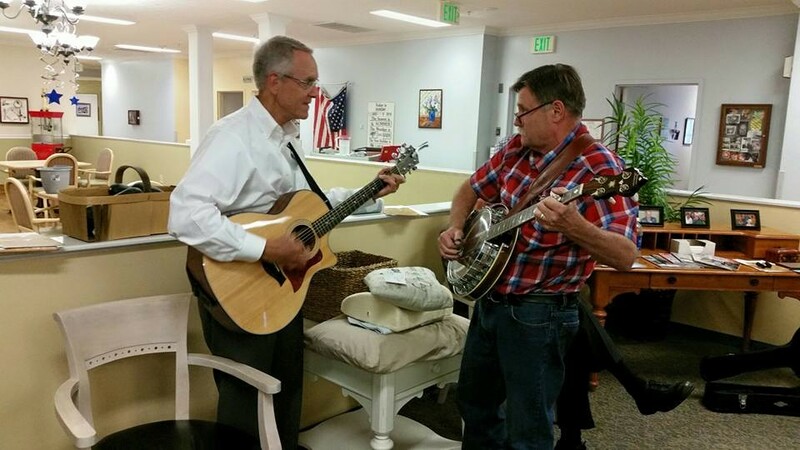 The Sanctuary Choir reaches out to the community the first Sunday of each month by heading to Bailey Manor to sing for, and with, the residents, which helps bring back memories as they sing old favorites and enjoy fellowship with the choir members. 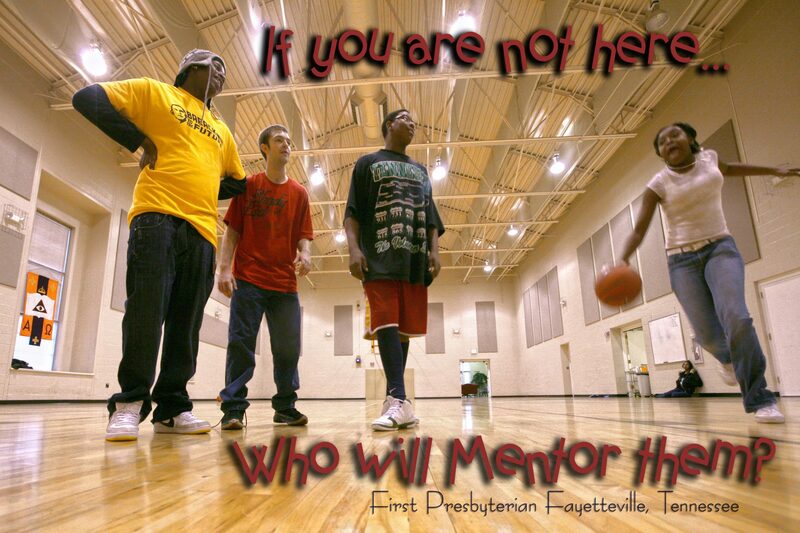 Members of our congregation mentor the community youth in a basketball program. With adult supervision, the young people govern themselves, choose their own teams and call their own fouls and infractions. They learn how to function as a community, compete with integrity, and show respect to one another. The program has as many as 50 participants. Snacks are provided by the church for participants as well as observers. Fair Trade coffee is served from our kitchen for all church events. This is a Presbyterian project that forms a partnership between congregations and farming families, helping them stay on their land, care for the environment, and support their families. 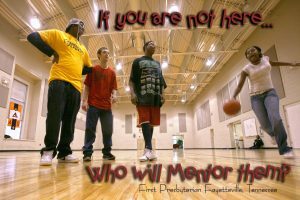 FPC provides financial assistance for many programs. These include: Nickel-A-Meal (hunger relief project of the Presbytery of Middle TN), Junior’s House, One Great Hour of Sharing, Presbyterian Disaster Assistance, Joy Gift Offering, Souper Bowl (hunger relief offering), and local utility assistance, along with a more general Pastor’s Benevolence Fund for people with needs beyond utilities. Also, Sunday School attendees contribute money to support our missionaries. 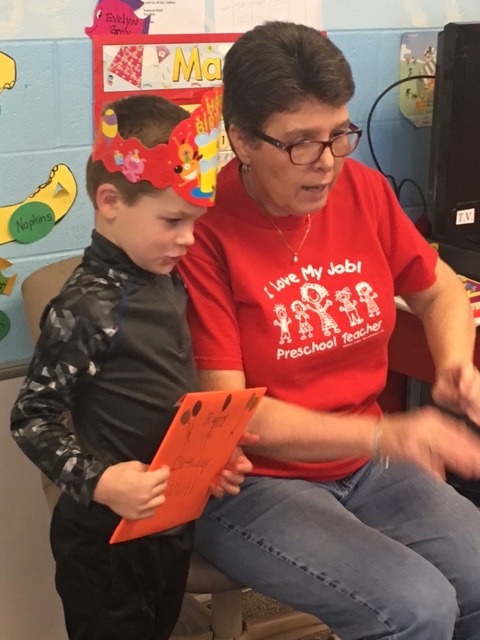 FPCCC, a TN Three-Star child care center, provides child care and education for preschoolers Monday, Tuesday, Wednesday and Fridam, 8:15 a.m.-2:15 p.m. The center has been in operation for over 30 years. First Presbyterian Church assists in this program by collecting peanut butter every third Sunday (“Peanut Butter Sunday”). 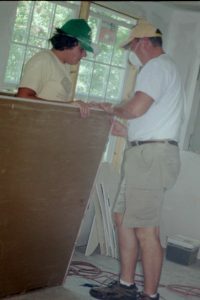 We also provide volunteer workers several weeks during each year. Living Waters for the World is a ministry of the Synod of Living Waters of the Presbyterian Church USA. LWW works to introduce water filtration systems and plans for communities and neighborhoods in areas where safe drinking/cooking water is in short supply. In 2007 First Presbyterian Church partnered with Fayetteville’s Rotary Club to send a team to Guastatoya, Guatemala for installation, maintenance and operation of a water filtration system (installed and operating since 2008). Since this first installation, several teams have returned to Guatemala to do check-ups, maintenance, education and new installations. Helping Hands is a food ministry for our church families when they encounter medical or other crisis. The Congregational Care Committee coordinates the delivery of home-cooked meals as a physical expression of the congregation’s love and care. Monroe Harding is an adolescent home that partners with at-risk youth and families to provide a bridge toward independence and success. FPC has supported MH in many ways over the years. 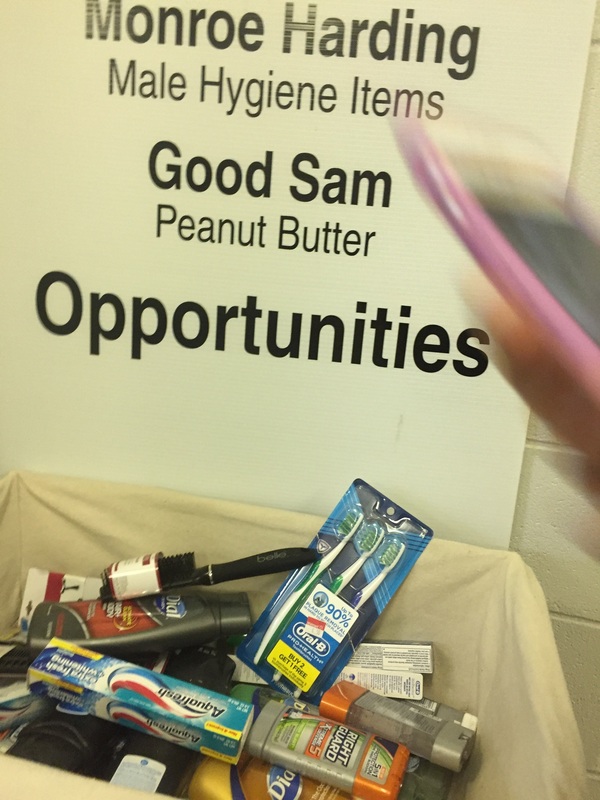 Currently, we collect personal hygiene items for use by the male residents. Individuals, families, and groups within the church bring in shoe boxes filled with items from wish/want lists provided by the OCC organization. They are then sent to be distributed overseas. Each November, FPC hosts a fair trade shopping event that benefits artisans from more than 30 developing countries. 10,000 Villages provides them income by marketing their handicrafts and by telling their stories. 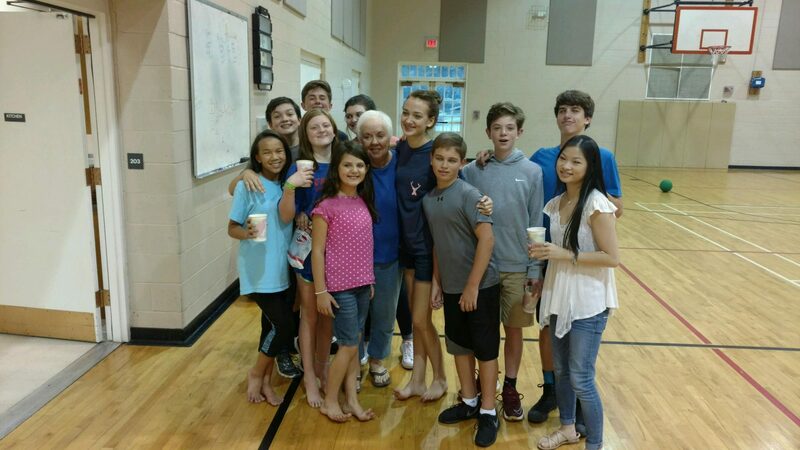 The Youth Group (7-12th grades) meets each Wednesday at 6 p.m. for learning, fun, food and fellowship. 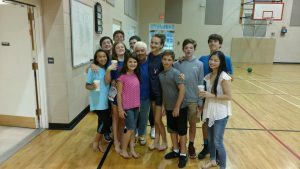 They also have outings and activities and periodically attend youth conferences, etc. 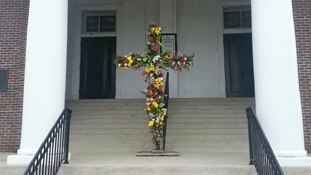 The Sanctuary Choir and various musicians provide the music for the 10:15 a.m. worship service. They meet for rehearsal every Monday evening. The Handbell Choir performs several times throughout the year with practices held weeks before each performance. New members are always welcome; no prior skills required. The SAPPHIRES is a group of older adults who meet periodically for activities, outings and programs. 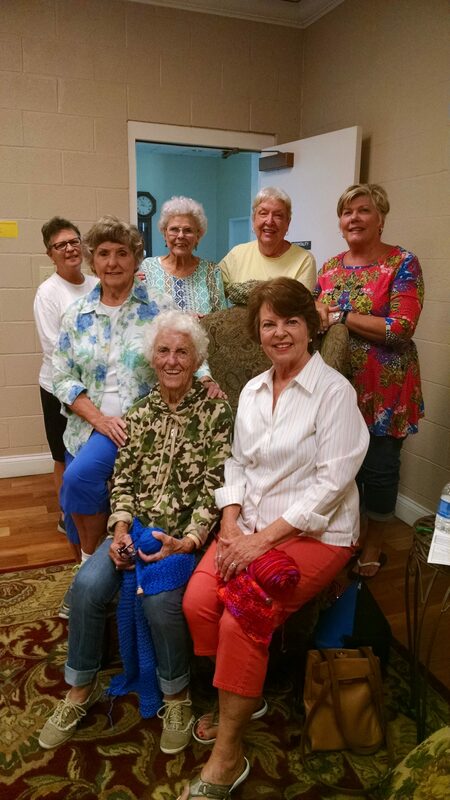 “Fear Knots” Prayer Shawl Knitters is a group that meets each Tuesday morning to prayerfully make prayer shawls for people who need comfort and reassurance of God’s love. 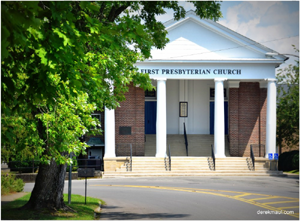 Presbyterian Women coordinating team meets periodically to discuss and carry out events such as: SaladFest, Spring and Fall Gathering, Least Coin Offering, Thank Offering, Birthday Offering, and Celebration of Women Sunday. Women’s Circle meets the first Monday of each month at 10:30 a.m. in the Hospitality Room for study and then lunch at noon. For more information on these programs, including our utility assistance program, please contact the church office.